1. Soak Moong Dal for 1 -2 hours. Drain the water. 2. 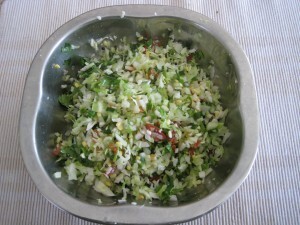 Mix chopped cabbagge, moong dal, green chillies, lemon juice, corriander leaves, and grated coconut. Add Salt to taste. 3. 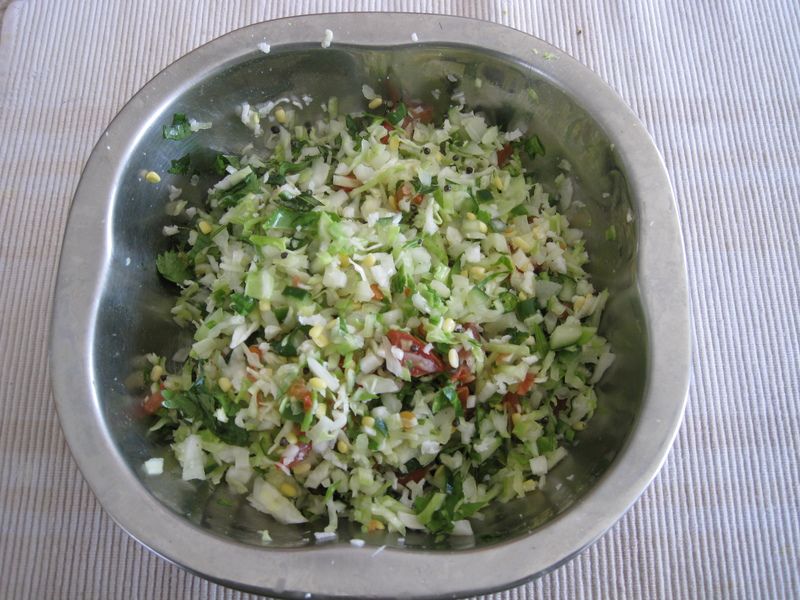 Heat oil; temper the mustard seeds, and curry leaves and add to the above mixture. I have submitted this recipe in the Walk Through Memory Lane (WTML) event of Gayathiri’s Cookspot happening at Shruti’s Rasoi.